“Hiroshima-Nishiki”, the former sake brewing rice, has now been revived for the first time in a while. Though in the beginning of the Showa Period this rice was developed to become the No.1 original sake brewing rice of Hiroshima, it soon disappeared because it was difficult to grow such rice as it grew to be 160cm tall. Kamotsuru Sake Brewing located in Nishijo, Higashihiroshima took up the challenge of reviving Hiroshima-Nishiki. 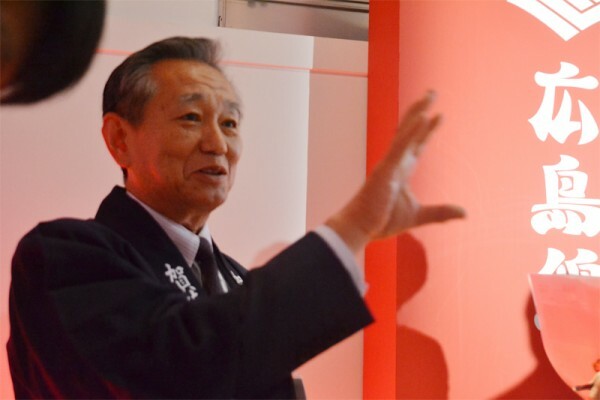 The president Mr. Akinori Fujiwara had been expecting junmai-shu to be one of its major businesses. 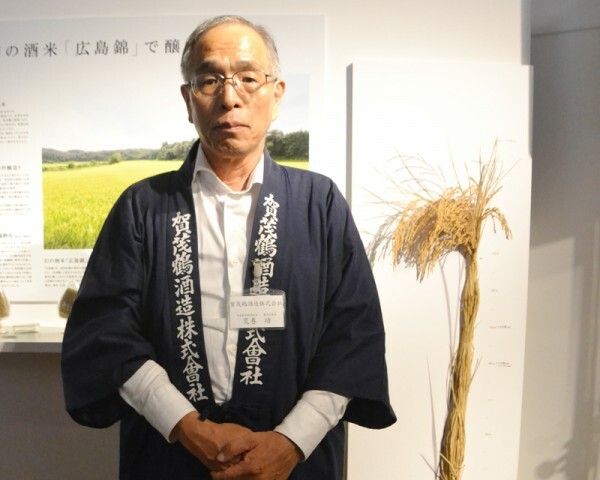 Then, Mr. Isao Aramaki, who is the vice president and general manager of manufacturing and had been exploring old literature, found and reported that there used to be the best sake brewing rice called Hiroshima-Nishiki. As he continued his exploration, he discovered that the seed rice still existed. So there began a movement of reviving Hiroshima-Nishiki. 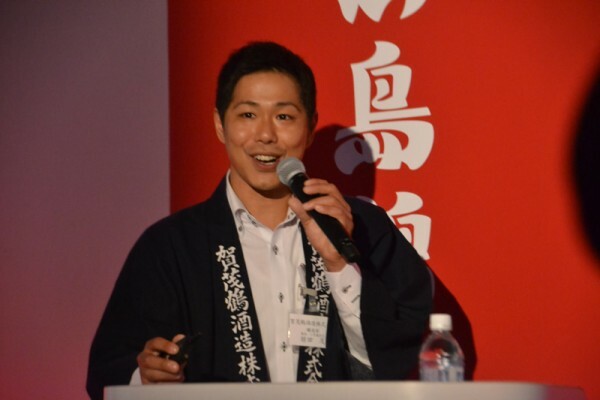 Brewing the novel junmai-shu started by using Hiroshima’s original rice, water, and yeast. 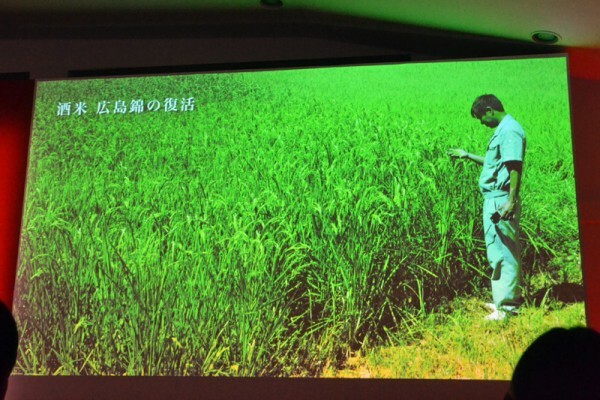 With the help of contracted farmers, it took six years to gradually increase a small amount of the seed rice to the amount to ensure sake brewing. 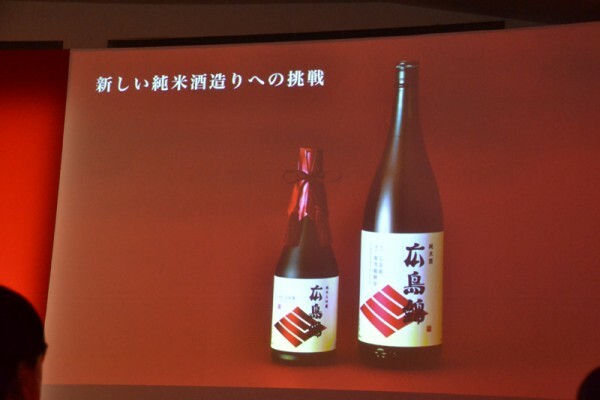 Besides this, Association Yeast No.5 (Kamotsuru yeast) was revived, which used to be taken from Kamotsuru Sake Brewing. In 1921, this yeast dominated the first prize up to the third in the former Annual Japan Sake Awards contest, a sake ranking contest. It used to be adopted as Association Yeast, however, as time went by, it was not distributed any more. 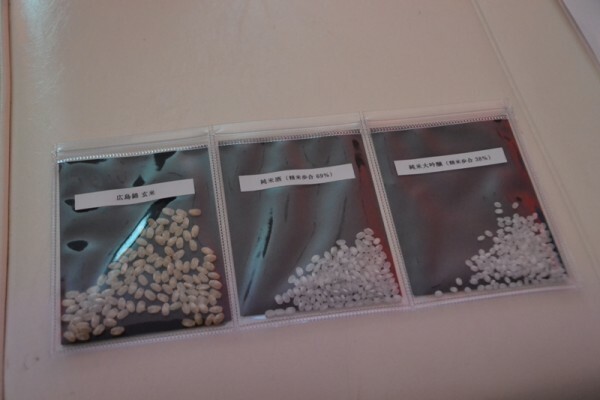 So this time, the No.5 yeast was collected from various institutes storing the No.5 and the yeast that is close to the original was selected by comparing it with the literature. After the selection, the mission was delegated to a team of young members including the toji, Mr. Shigeru Mukuda, who used Hiroshima’s rice, water and yeast. Finally the junmai-shu and junmai-daiginjo “Hiroshima-Nishiki” was born. Ricefeeid of Hiroshima Nishiki in autumn.